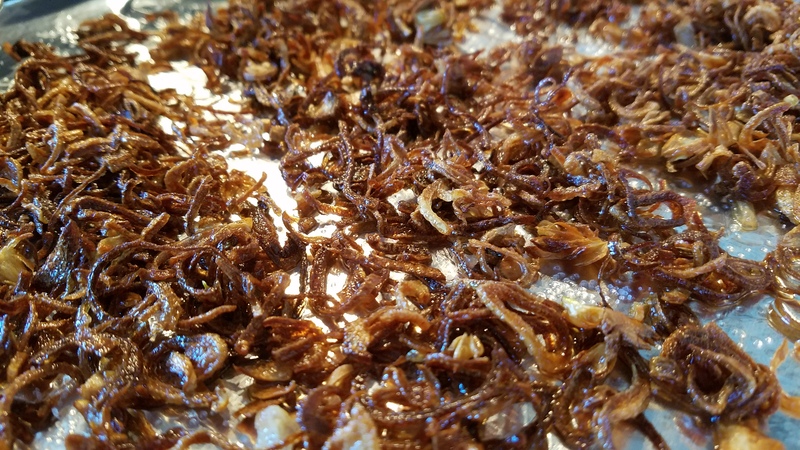 In many of my recipes, I have referred to these crispy, fragrant shallot bits as the miracle topping. 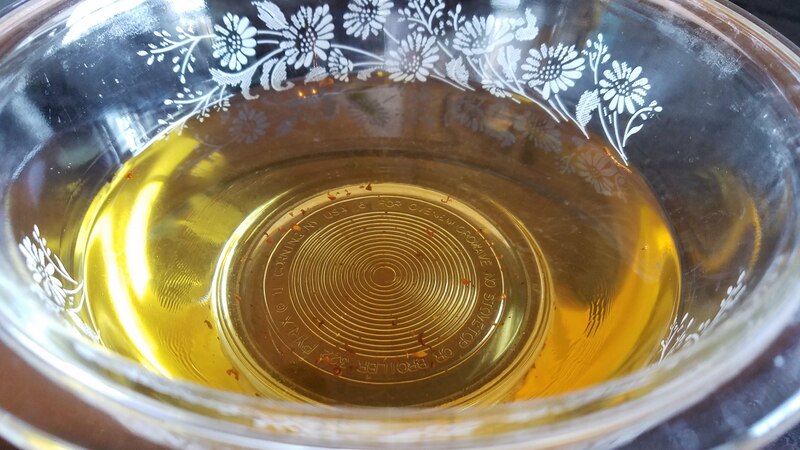 Sprinkle a few teaspoons of these on top of vegetable stir-fry, fried rice, fried noodles, or just about any Asian dishes, it always add a heavenly touch to your dishes. For years, I have been relying on Hua Jie’s fried shallots that are meticulously canned and shipped thousands of miles from Singapore. 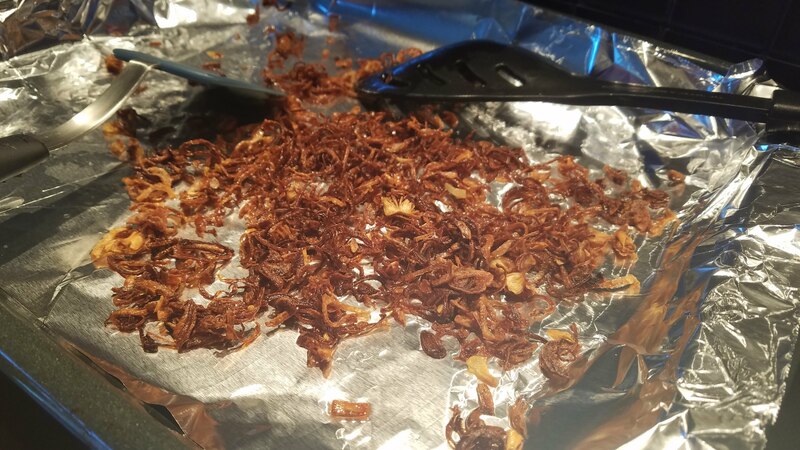 Alas, my supply of these crispy fried shallots is running low and I need to make some until the next shipment arrives. Mine didn’t turn out as great as the ones Hua Jie made, but good enough to tie over for now. 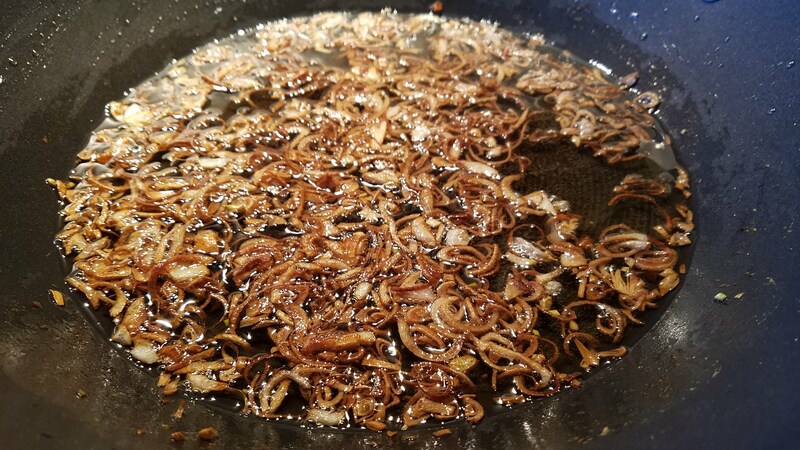 The bonus of making fried shallots at home is that you get the fragrant shallot oil as the by product. This is the other part of this treasured topping that you should reserve for you next stir fry dish. I think this is the first time I have a three-ingredient recipe! Cut as much shallots as you want to make in each batch. Peel and slice the shallots thinly. Heat enough oil to cover the shallots over medium heat. Add the sliced shallots and spread evenly over the bottom of the skillet. 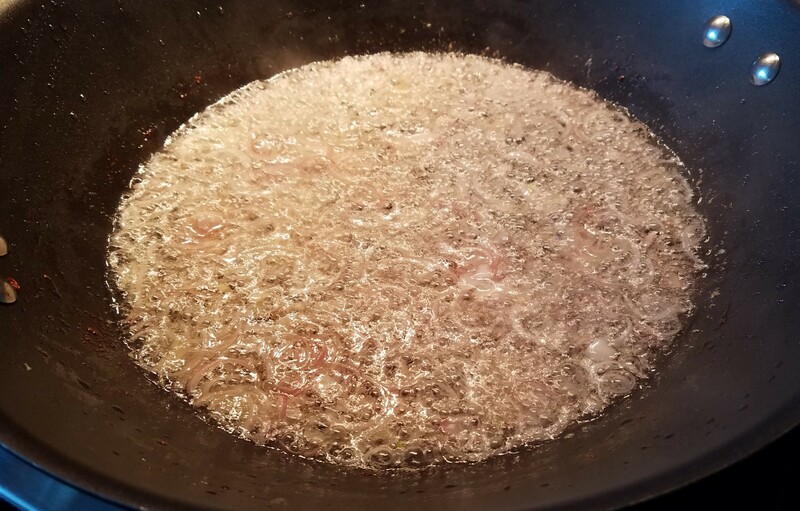 Make sure there is enough oil to cover the shallots. Stir occasionally, spreading the shallots out evenly each time. In the meantime, line a baking sheet with aluminium foil. Fry until the shallots are golden brown. Using a mesh spatula, scoop up the fried shallots, drain and spread them out evenly on the lined baking sheet. Spreading out the fried shallots the shallots to crisp as they cool.